This year, the Peabody Essex Museum (PEM) has acquired three major works on loan from the Harmony Art Foundation: Anish Kapoor’s Halo (2006), Francis Newton Souza’s Birth (1955)and Paritosh Sen’s Amhedabad scene (1984). Anish Kapoor is one of the most celebrated contemporary Indian artists. Earlier this year, Kapoor received a commission to construct the ArcelorMittal Orbit in London’s Olympic Park, continuing his successes in London following a 2003 Unilever installation in the Tate Modern and a 2009 show at the Royal Academy. In the United States, he is best known for his 110‐ton stainless steel public sculpture Cloud Gate (2004), installed in Millennium Park, in Chicago. 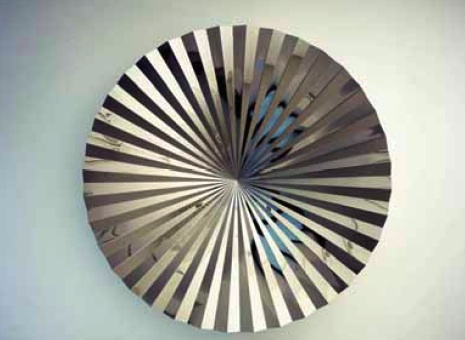 Halo consists of a shallow circular cone of stainless steel, 10 feet in diameter. Its surface is pleated in a radial pattern, a manipulation more commonly associated with pliable fabric than unyielding steel. It will hang in the PEM atrium, on long‐term loan from the Tina and Anil Ambani Collection. Souza and Sen are often pronounced fathers of Indian modern art. Breaking away from colonial training institutions in post independent India, they founded the Bombay Progressive Artists’ Group and the Calcutta Group respectively. Both groups pioneered the modern art movement in India in the 1950s. The Peabody Essex Museum has had a long history of collecting Indian art. In the year 2000, renowned Indian art collectors Chester and Davida Herwitz donated their collection to the PEM, fortifying its status as one of the best places to go for Indian art in the United States. Today the PEM has three galleries dedicated to Indian art. Jing Daily, an online news source covering “the business of culture” in China, spots a new trend: burgeoning demand for collector education. To address this information gap, new books and online resources, along with more forums and conferences, have appeared on the scene in mainland China and Hong Kong, designed with Chinese collectors and art enthusiasts — rather than just academics and curators — in mind. 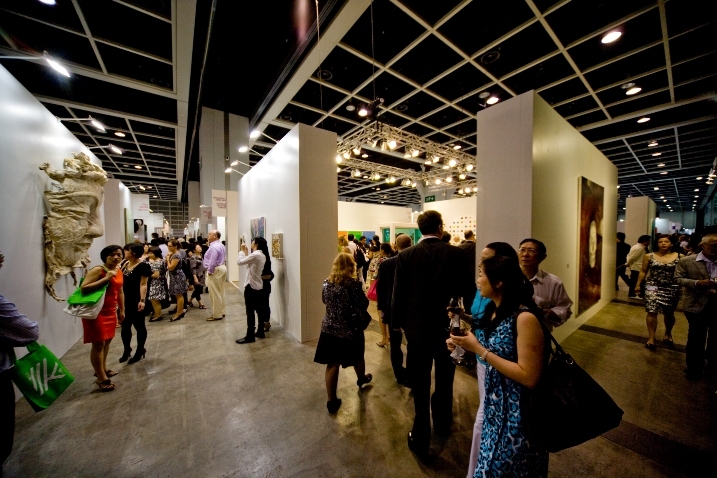 The upcoming Asia Art Forum, to be held in Hong Kong from 21 to 23 May, 2010. This is the third edition of a three day gathering of talks and artist studio visits with influential curators, collectors and experts designed for emerging and established collectors. 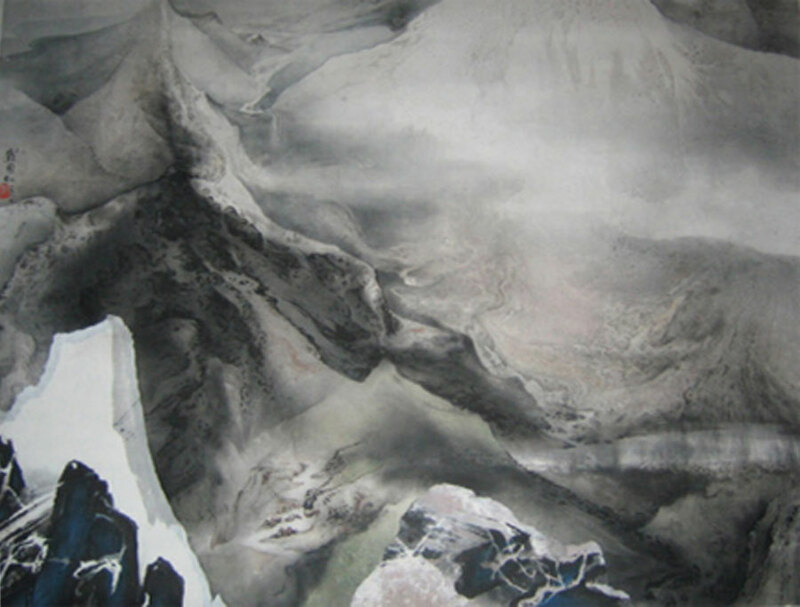 This year’s forum focuses on Chinese art, with luminaries Phil Tinari, Valerie Doran and Karen Smith speaking. Read more about why organiser Pippa Dennis set up the Forum here. The first meeting of Chinese art collectors at the Songzhuang Art Festival in October 2009. We have been watching this trend and spotting some new education sources, too. 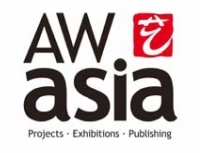 To explore further, read in the related posts section below about a well-regarded book surveying the next crop of Chinese born artists and an online resource which tracks the collecting activities of international museums in the Chinese art arena. Singapore is home to a diverse offering of heritage attractions ranging from arts, history, culture, lifestyle, science, to healthcare. According to the Renaissance City Plan III developed by the National Heritage Board, as of 2007 there are 52 museums located in Singapore including both private and public institutions. The focus of this guide will center on the public arts related museums including the Singapore Art Museum (SAM) and its extension gallery 8Q, the National Museum of Singapore, Asian Civilisations Museum, NUS Museum, Peranakan Museum, and Red Dot Design Museum. Singapore Art Museum (SAM): opened in 1996, with the mission to preserve and present the art histories and contemporary art practices of Singapore and the Southeast Asian region. SAM has amassed the largest public collection of modern and contemporary Southeast Asian artworks comprising of over 7,000 artworks from mediums of painting, sculpture, installation, drawing, print, and photography. 8Q hosted the highly publicized "Masriadi: Black is My Last Weapon" exhibition in August 2008. 8Q at SAM: is an extension gallery to the main museum space showcases fresh, multi-disciplinary, interactive and community oriented programming by living artists. 8Q aims to offer visitors a diverse sampling of contemporary art practices ranging from painting and sculpture, to installation, film and video, new media, performance art and sound art. National Museum of Singapore: Housed in its current location since 2006, the National Museum of Singapore is Singapore’s oldest museum. Designed to be the people’s museum, the National Museum is a custodian of the 11 National Treasures, and its Singapore History and Living Galleries adopt cutting-edge and varied ways of presenting history and culture to redefine conventional museum experience. The National Museum of Singapore hosted "Christian Lacroix the costumier" exhibition in March 2009. Asian Civilisations Museum (ACM): is the first museum in the region to present a broad yet integrated perspective of pan-Asian cultures and civilisations. Spread over 11 galleries and three levels, ACM presents the story of Asia showcased in themed galleries (Singapore River, Southeast Asia, West Asia, China, and South Asia). Virtual hosts, in-gallery videos and interactive ExplorAsian zones are incorporated in the galleries as guideposts which help visitors learn more about the multi-faceted aspects of Asian cultures. NUS Museum: The National University of Singapore established the museum in 1997 to create an enriching experience of the social history and the art of Asia to NUS and the nation. The museum hold three separate permanent collections (Lee Kong Chian Collection, Ng Eng Teng Collection, and South & Southeast Asian Collection) as well as hosts special exhibitions like “Mapping the Corporeal: Ronald Ventura” exhibition in September 2008 and “Jendela – A Play of the Ordinary” in February 2009. Peranakan Museum: explores the culture of Peranakan communities in the former Straits Settlements of Singapore, Malacca and Penang and their links with other communities in Southeast Asia. Three floors of permanent galleries illustrate important rituals, practices and the material culture of the Peranakans, as well as how this unique fusion culture is viewed today. The museum’s mission is to explore and present the cultures and civilisations of Asia, so as to promote awareness and appreciation of the ancestral cultures of Singaporeans and their links to Southeast Asia and the world. Red Dot Museum: The museum engages, excites and inspires its visitors with interactive installations and interesting exhibitions on design. It is the focal point of design and creative activities such as design conferences, exhibitions and parties. Progressively, these efforts will transform Singapore into a global city of arts and culture. Indeed, the world is noticing– media articles and analyst reports are describing how vibrant Singapore has become, and what an attractive place it is to live in….more importantly, it will provide Singaporeans with a rich cultural life, nurture the sense of pride in our heritage and history, and strengthen our identity as a nation. Video has the capacity to move a viewer, express emotion, and provoke thought. It is no surprise, then, that contemporary artists who have grown up exposed to moving images and storytelling films are utilizing video to express their artworks, and the medium has been elevated to a fine art that is being embraced by museums and collectors alike. However, video art has only existed for about the past 50 years, or since the equipment became easily available to creatives for use. It surprisingly took awhile to gain momentum in India, a country with a rich film-making history, and has only gained popularity in the past few years. Now, however, video is a mainstay in the contemporary Indian art scene with galleries exclusively devoted to the medium such as the Apeejay Gallery which has solely shown video and film art for the past 5 years. Video art is a necessary part of the best well-rounded contemporary art collections too and can be found in important collections such as the Lekha and Anupam Poddar Collection with the Devi Art Foundation. But, the question remains, what exactly is video art, and how is it different from ordinary film? Bani Abidi, an active Pakistani video artist with pieces on display at museums including the MoMA in New York and the Devi Art Foundation Delhi, sheds some light on the distinction of video art in an interview with Tehelka Magazine. Mangoes, 1999, by Bani Abidi. Video, Single Channel, 3:24 sec. "Two expatriate Pakistani and Indian women sit and eat mangoes together and reminisce about their childhood. An otherwise touching encounter turns sour when they start comparing the range of mangoes grown in either country, a comment on the heightened sense of nostalgia and nationalism that exists in the Indian and Pakistani Diaspora. Both the women are played by the artist, stressing the idea of a shared history." “…A lot of artists work with abstract images. But then many don’t. The conventional idea of a plot, with a beginning, middle and end is only one way of storytelling. So if one wants to engage fully with the history and potential of the moving image, whether it is a feature film, a documentary, experimental cinema or an art work, the attachment to plot needs to loosen. Shan Pipe Band Learns the Star Spangled Banner, 2004, by Bani Adibi. Video, Double Channel, 7:30 sec. "In November of 2003, the artist commissioned a brass pipe band in Lahore to learn how to play the American National Anthem, a piece that was not a part of their existing repertoire. Over an afternoon's sitting of listening to a recording of the music that had been provided them, and after much fumbling and practicing they were able to perform a version of it. The video is a recording of this process as well as a glimpse of their interaction and physical surroundings. This piece is a metaphor for all forms of clumsy and forced cultural and political acquiescence that various individuals and governments have had to display towards the US in the past 3 years." Big galleries in Indian metros frequently feature video art. Gallery Espace in New Delhi hosted a year-long program called Video Wednesdays, where guest curators were invited to present their selection of videos once a week. It culminated in a discussion and a final show which took place last week. At the India Art Summit in Delhi (August 19 to 21 2009) you can watch over 90 videos. Nalini Malini and Ranbir Kaleka are two of the most senior practitioners of this medium and both incorporate their experience of painting and art history in their projects. A filmmaker like Amar Kanwar comes from a documentary film tradition. Younger artists like Shilpa Gupta, Sonia Khurana and Kiran Subbaiah move between the roles of activist, performer and cinematographer. 'Bird', by Sonia Khurana. Performance video, 1999. Duration, 2 minutes. Videotape, black and white, silent. Performed, shot, edited and conceptualized by Sonia Khurana. An important distinction of video art lies within its display, which is a deliberate and important element of the artwork, and distinguishes it as more of an installation art piece than a conventional film. Some artists provide buyers with highly specific drawn instruction of their display design, while others only require works to be played in a loop on a wall-mounted flat screen. Custom plans for the display of video art in a buyer’s home can get extremely creative, and include projection on suspended screens or other unexpected surfaces. Auction houses are also promoting Indian video art, with Sotheby’s selling Sonia Khurana’s video work Bird: Retake in the 2007 Southeast Asian art auction. Indian video artists have found support in both private collectors and museums, and an emerging group of contemporary art collectors, including the notable private collectors Anurag Khanna and Swapan Seth, have collections that are mostly comprised of video artworks. Video art may have a viable base of enthusiastic collectors, but a common problem now with the buying and selling of video is the issue of unauthorized replication that devalues the legitimate limited edition works produced by an artist. This problem has been addressed with authenticity certificates, which are official documents required for the buying and reselling of pieces. Artists are also including watermarks in their videos, which can indicate authenticity to curators. Curators and gallerists believe that video art is a natural progression for the generation that grew up in front of the TV and surfing the internet [Times of India.] In addition, convenient platforms like Youtube are making the display of video artworks to vast audiences very easy and cheap. The nature of video is also very tactile, as it can be easily edited and changed to create something new. Considering all these traits, more talented, tech-savvy youthful artists are sure to emerge. Arts-watchers should know, video art is officially a trend. Read full interview with Tehelka Magazine here.